When a patient goes through a FUE transplant, individual follicles units are extracted from a specific region of your own body and they are grafted to a bald-affected area. While the solution sounds very simple, the results are not immediate. A lot of patients don’t know what to expect after a hair transplant procedure. Today we are going to detail a time chronology of what to expect and what you should do after going through a FUE treatment. Hair transplants have a before and an after. From the moment you go to your specialist there are things you will have to do to help the treatment take hold and bear with a lot of patience. Almost every FUE treatment shows results after one year. The recipient and the donor areas will probably look bruised.With small red holes where the grafts where taken from. Don’t worry too much about them; they will heal in a couple of days. FUE treatments don’t leave any pain sequels in the body. But if you have any, ask your doctor for a painkiller prescription. Try not to touch the recipient area and don’t wash it that day. Sleep with 4 pillows in your upper body that night to avoid damages to the new hair grafts. Your scalp might show some bruising and swelling around the treated areas. It will disappear after the 4th day mark. If it doesn’t happen, talk to your doctor about it. Avoid touch, rubs or scratches in the grafted area, they may loosen your new implants. Avoid sunlight as much as you can, at this stage it can affect to skin’s pigmentation or even damage the implants. Keep sleeping with 4 pillows in your upper body to keep your head high. You will see some pimples in the treated area, they are called folliculitis and they are a symptom of the implants taking hold in your scalp. If the pimples happen to appear in quantities larger than 3 or 4 and are painful to the touch you may be experiencing a mild infection. Go to the doctor to treat them. By this moment your new hair follicles are in place and you can re-take your usual routine for your hair: wash it regularly, cut it or dye it if you like. New hair will grow in the treated area and it will be more thick and longer as time passes. Keep avoiding sunlight as much as you can, you can star to wear hats at this point but don’t overdo it. A long exposure to heat will damage the grafts. If you can’t avoid being under sunlight for a long time, wear a strong sun block lotion. Your new hair will probably be more visible now. Thickness will show the strength of it, as well as various degrees of texture on new growing hair. 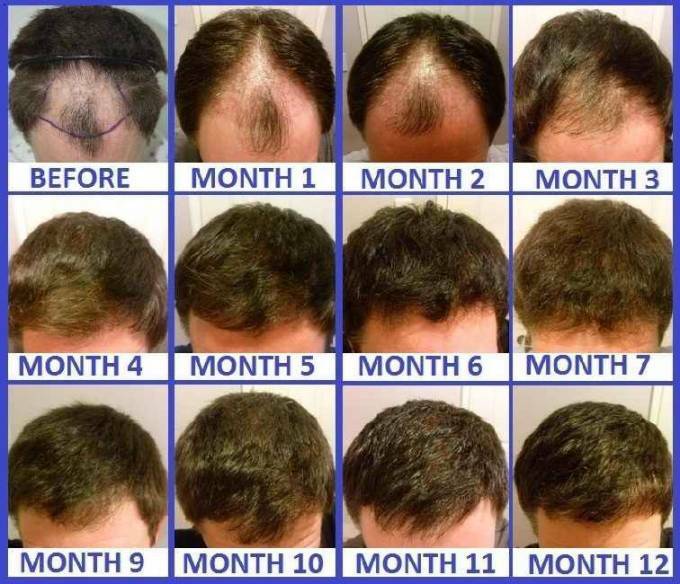 This is the moment when you can measure the success of your hair transplant results. Hair Transplant Result Depending on the number of grafts and level of baldness hair transplant cost vary. Hair transplant surgeries generally cost at FUE Hairline Clinic.